If you want to help Yuni with this project, let her know. As always, TBE Sisterhood is happy to accept contributions to help with the cost of this activity. Send any donations to the temple office. 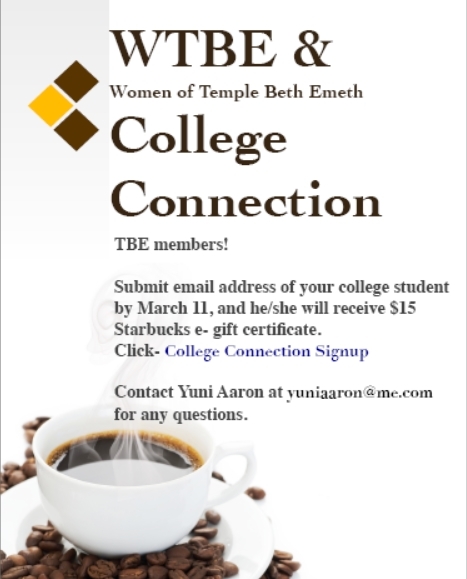 Add Att: Sisterhood, College Connections to the address.